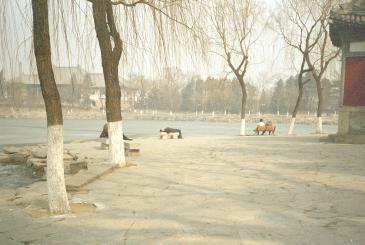 Located in "central" Beijing in an area with high traffic, shops, restaurants, etc., very near the Temple of Heaven. Located on the roof of a 1-story building pictured below. 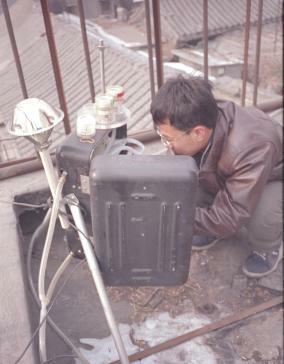 The sampler used is one of the two Caltech "baby samplers". 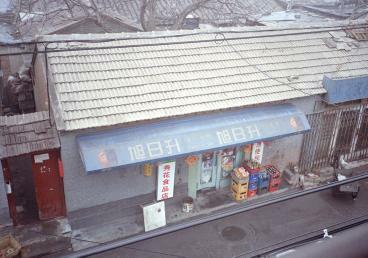 Also shown is the shop across the street. The Ming Tombs are located 34 miles NW of "central" Beijing. 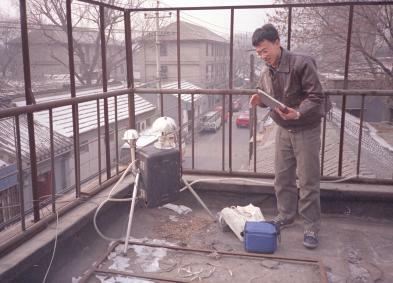 The sampler was placed on the roof of a 1-story metorological station near the entrance to the Ming Tombs. There is traffic with heavy visitor loads on weekends, otherwise, it is in a more rural area than the other samplers. 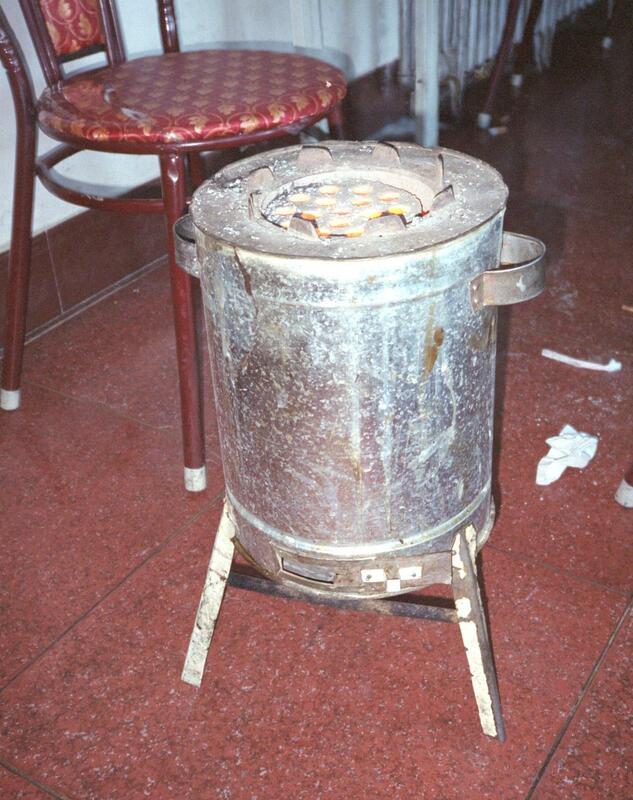 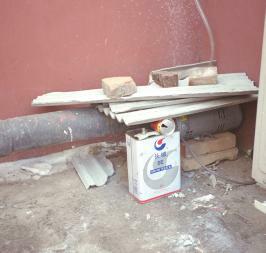 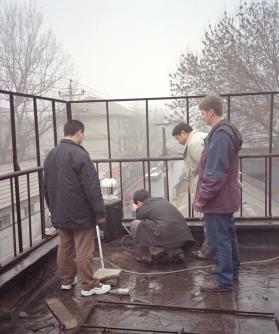 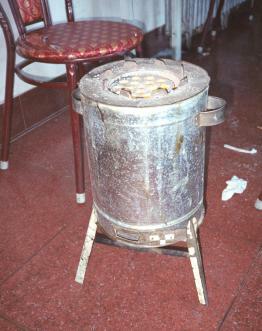 The Peking University sampler was located on the roof of a 5-story building. The site is 13 miles NW of of "central" Beijing on the campus of the university. 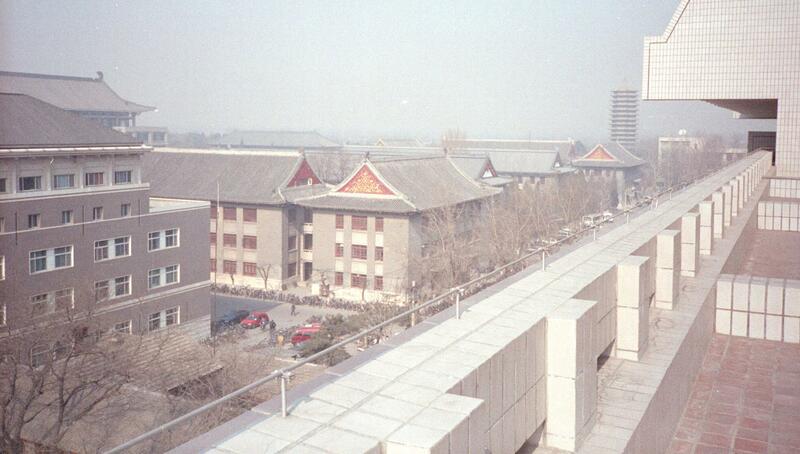 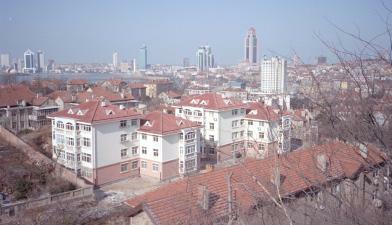 Immediately around the campus is a high traffic area, many restaurants, and residential apartments. 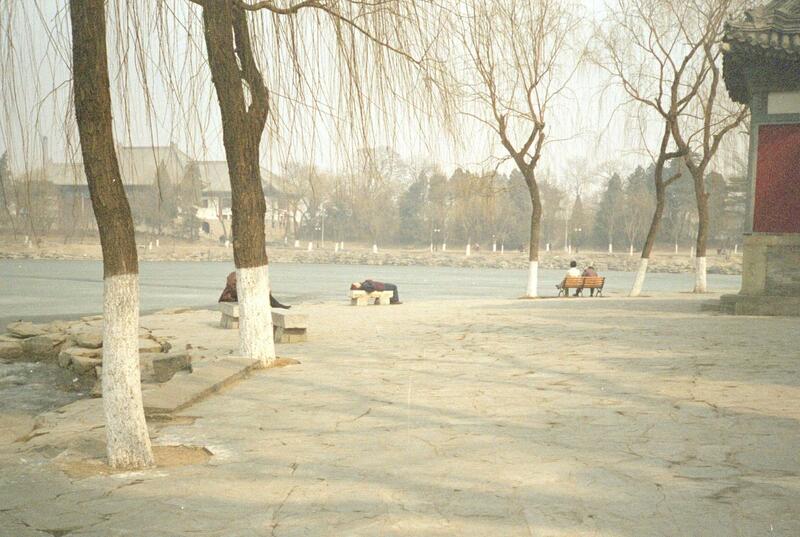 However, much of the campus is a serene park-like setting. 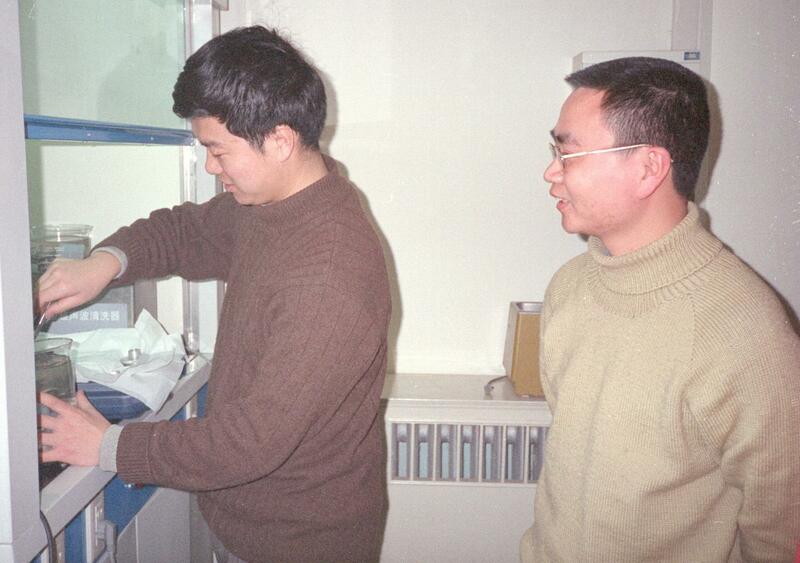 Shown below are graduate students Lei Li and Yang Qiang. 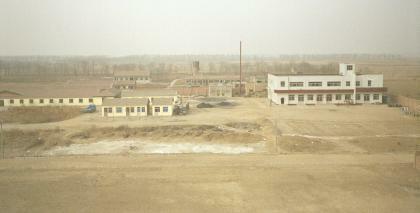 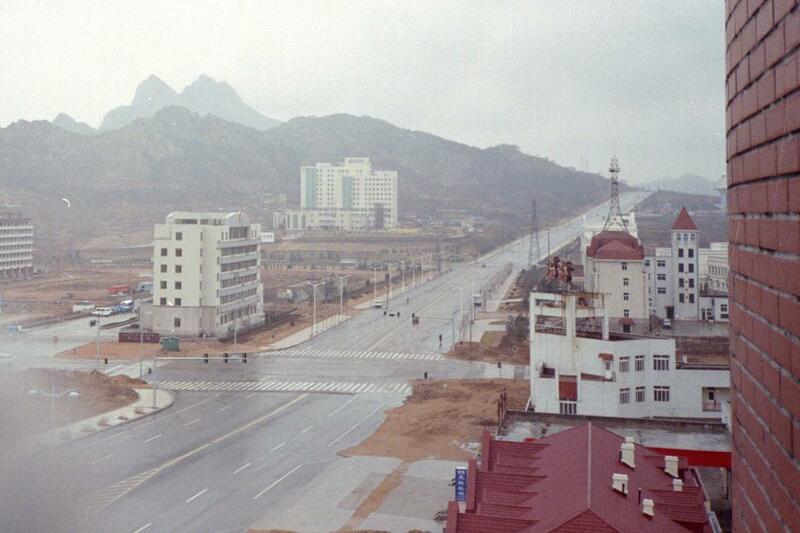 The site near the airport, 19 miles NE of "central" Beijing. 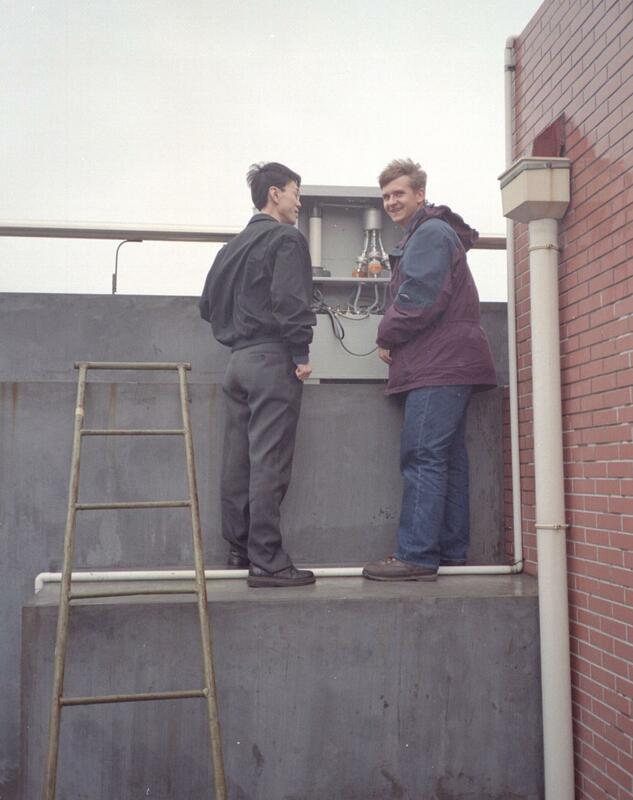 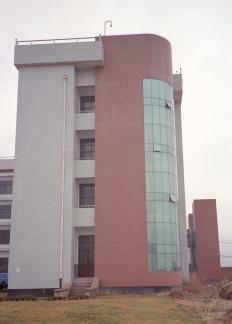 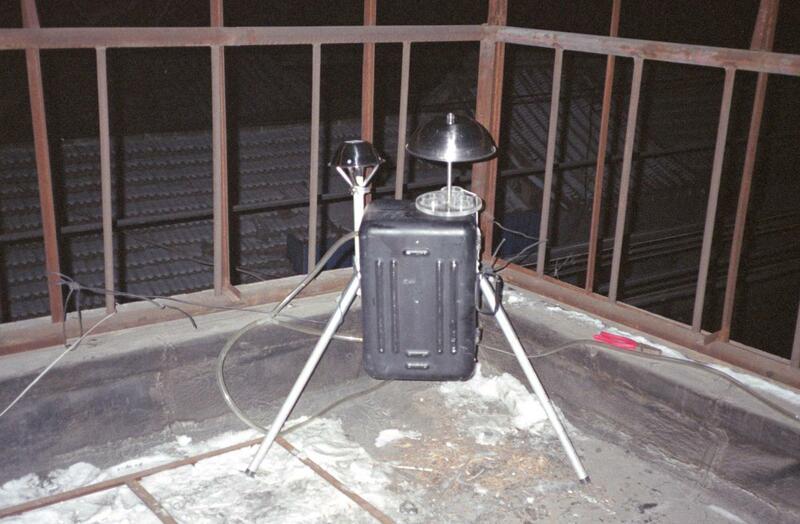 During year 2000 the sampler was located on a roof of a 1-story office building shown below. The surrounding area is light industrial, airport vicinity, not on a busy street. 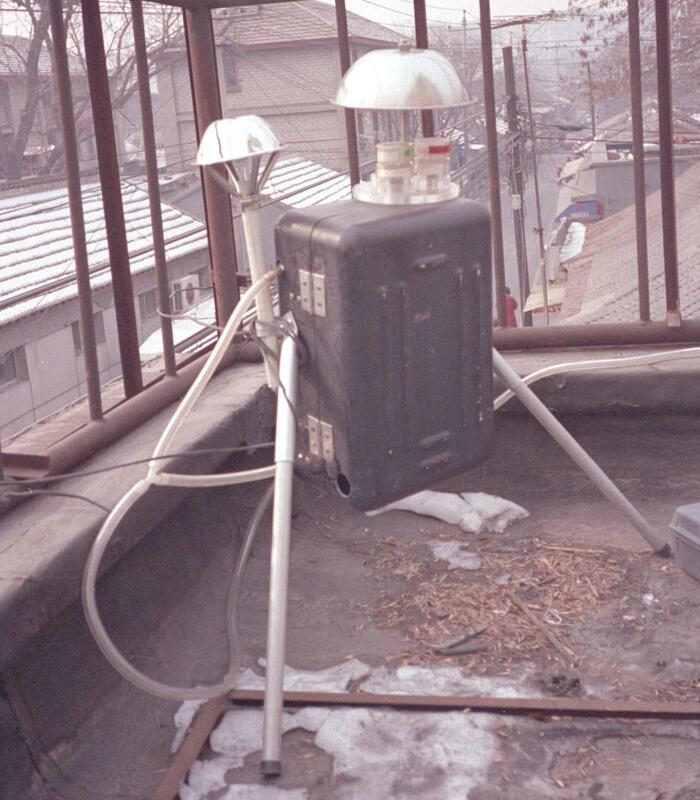 For year 2001 the sampler moved approximately 7 km NE away from the airport. Located on roof of a 3-story building. 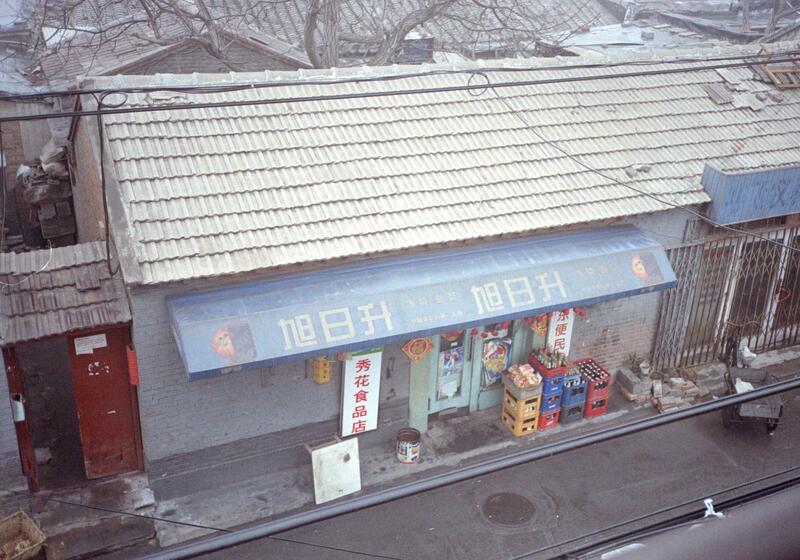 New coordinates: (40.129N 116.634E). 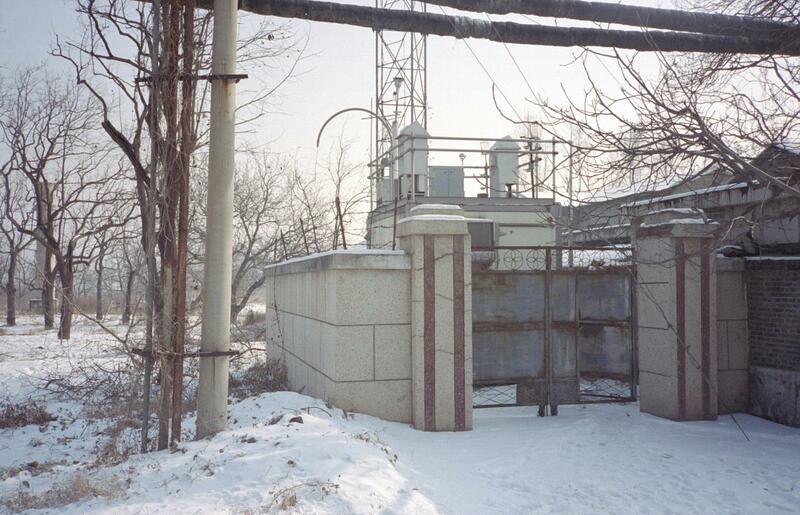 The Qing Dao site is located 544 km SE of Beijing near the coast of the Yellow sea. 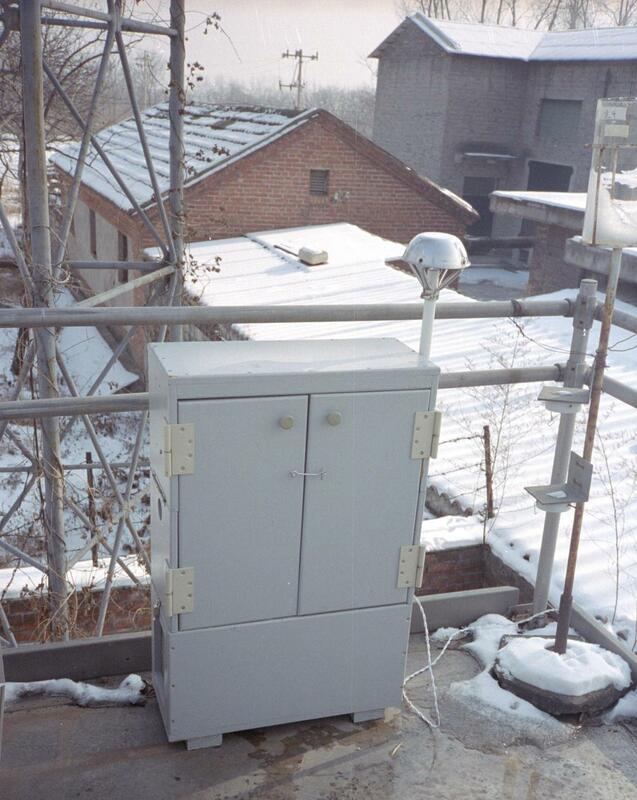 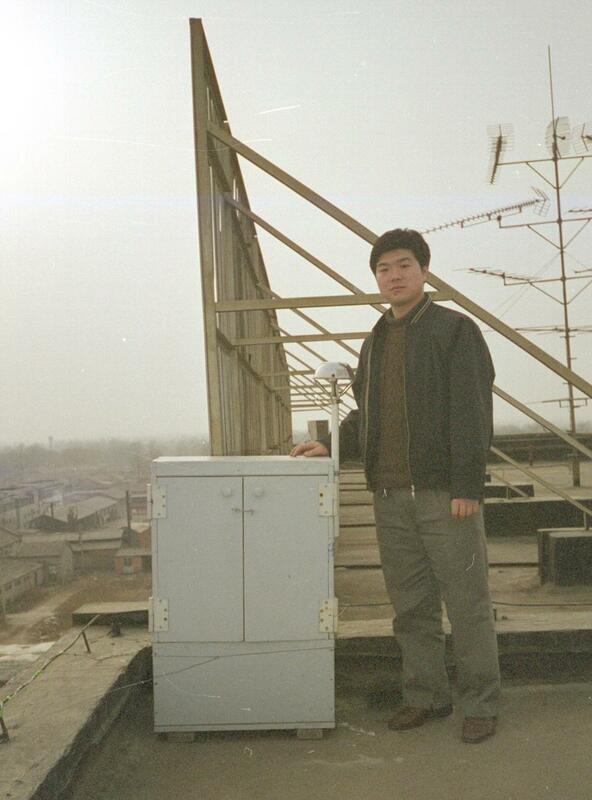 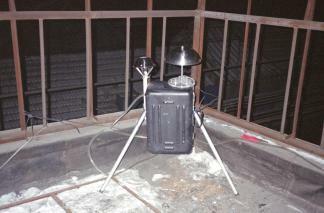 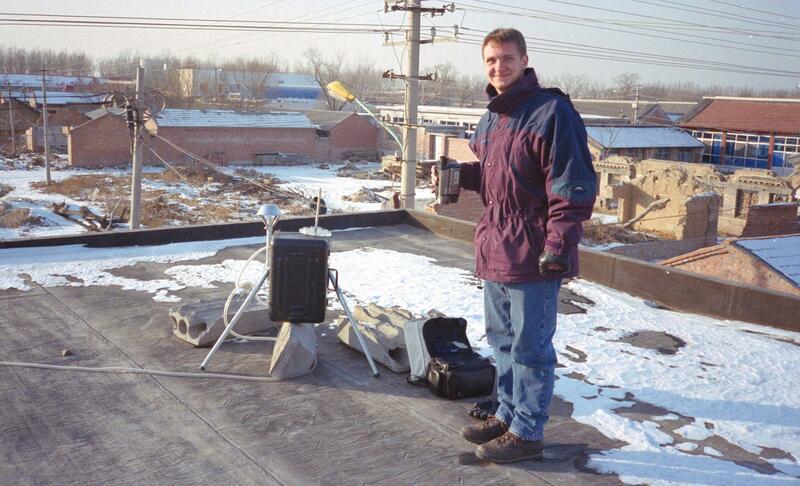 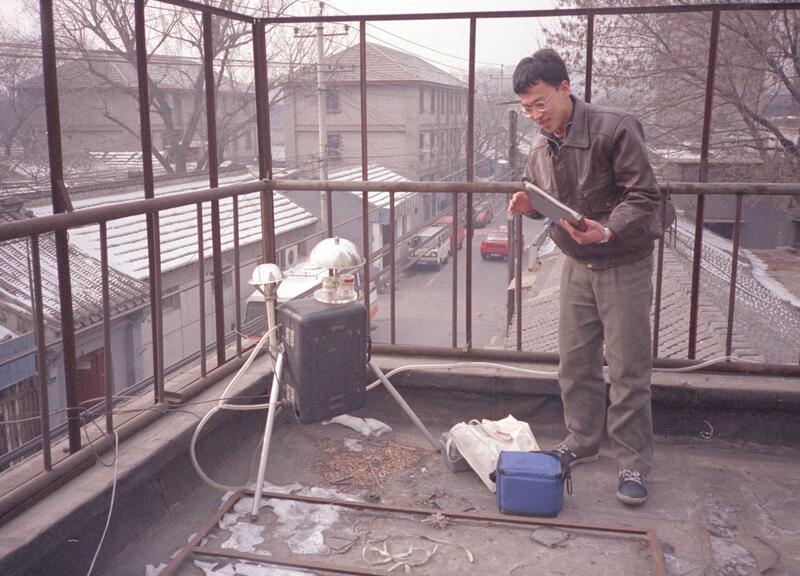 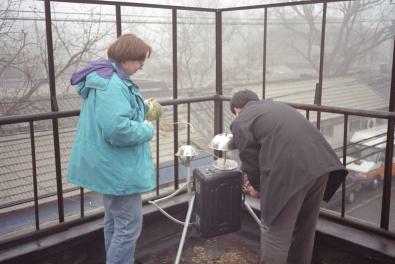 The sampler was placed on the roof of a 5 story building at the "cleanest" of the Qing Dao EPB sites. The building and immediate vicinity is shown in the first two photos below. 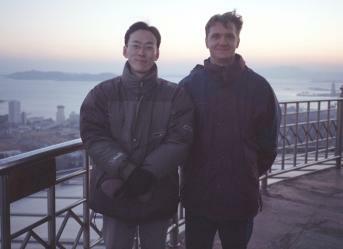 A general view of Qing Dao is also shown along with our site operator Wang Min. 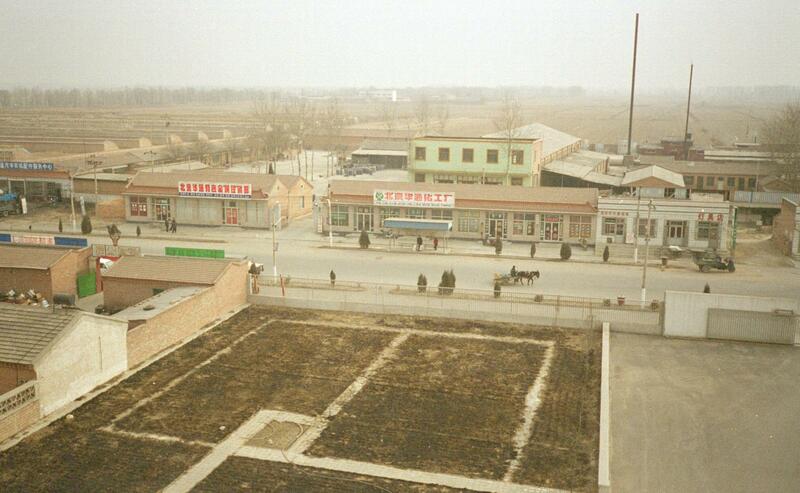 The Inner Mongolia sampler was located 428 km west-northwest from Beijing. 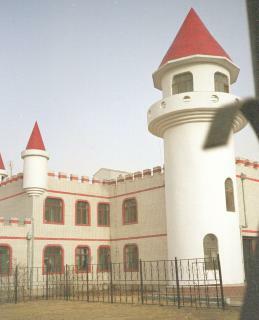 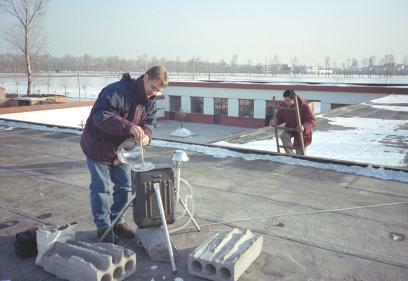 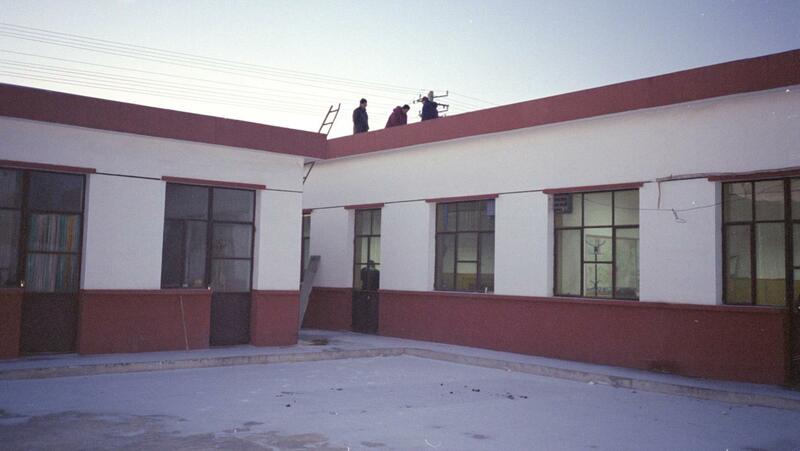 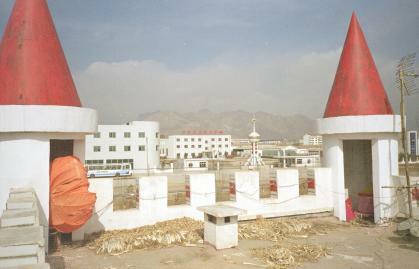 The sampler is 7 km W-SW from central Hohhot on the roof of a 2-story kindergarten building shown below. 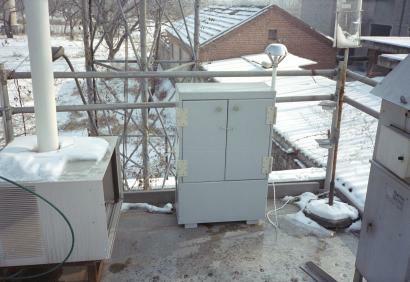 An attempt to get as far away from air pollution sources in the city of Hohhot was made. The surrounding area is quiet residencial with little traffic.